America Daitouryou Senkyo (アメリカ大統領選挙, America Daitouryou Senkyo? 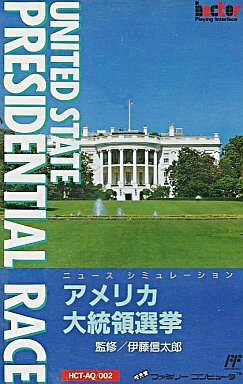 "United States Presidential Race") is a Famicom government simulation game about the 1988 election for the President of the United States of America. It was developed and published by Hect on October 28, 1988. This page was last edited on 11 June 2014, at 16:40.